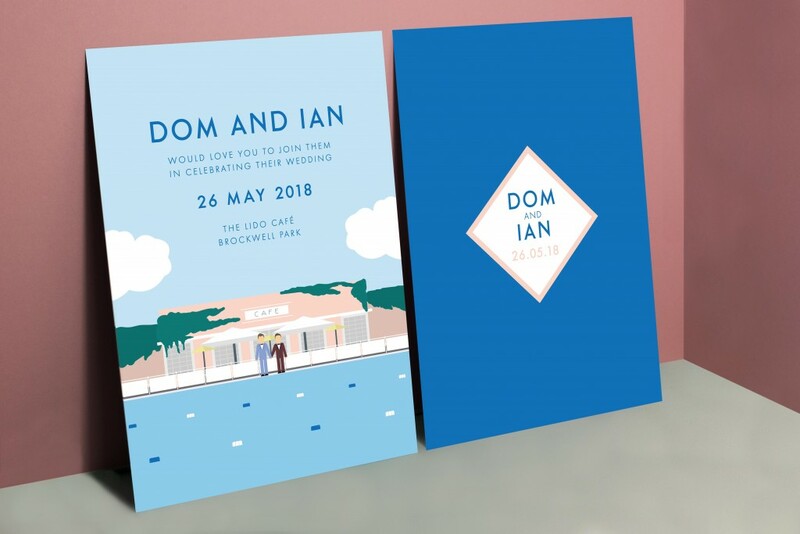 Dom and Ian came to us after choosing the amazing venue of Brockwell Lido for their wedding day celebrations. 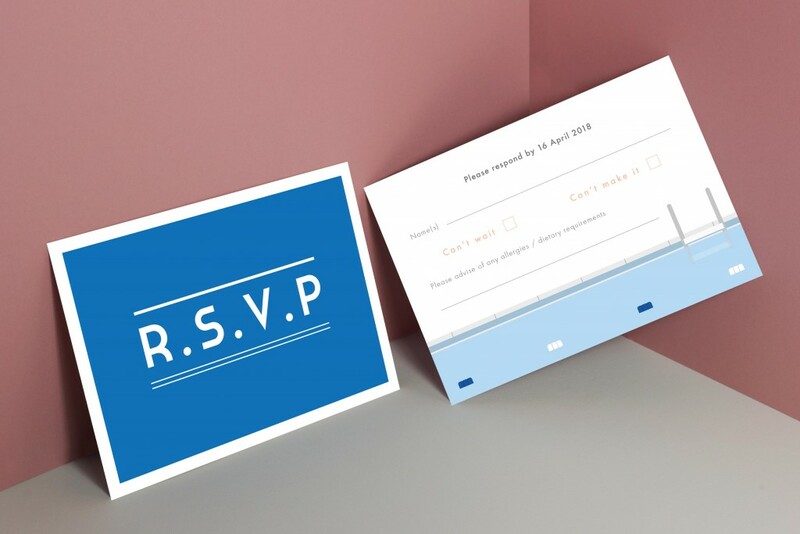 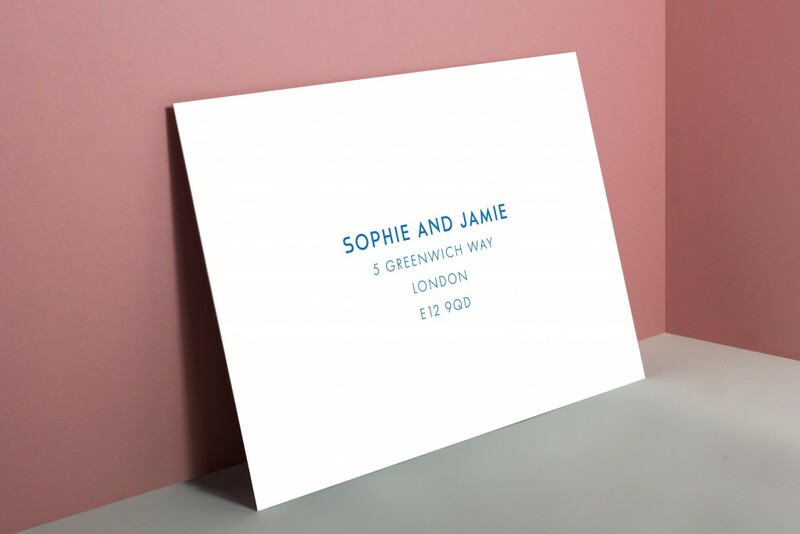 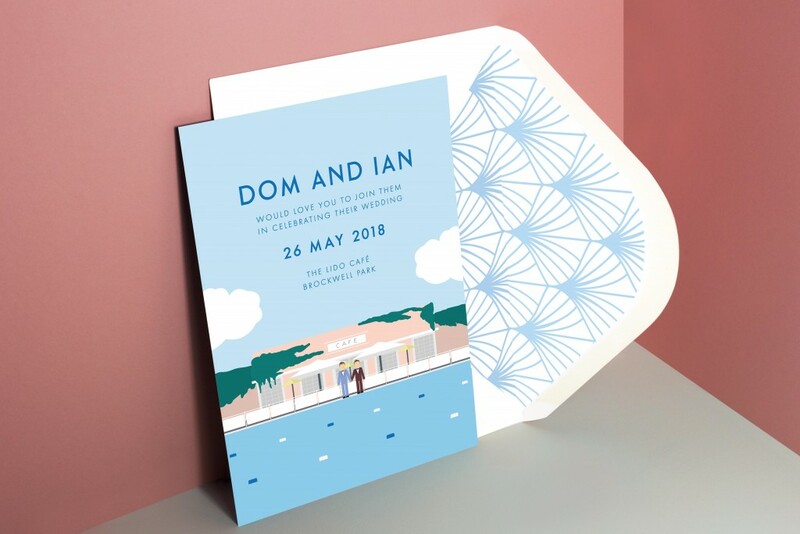 They wanted bespoke invitations with matching on the day stationery but didn’t really have any idea of what style they wanted. 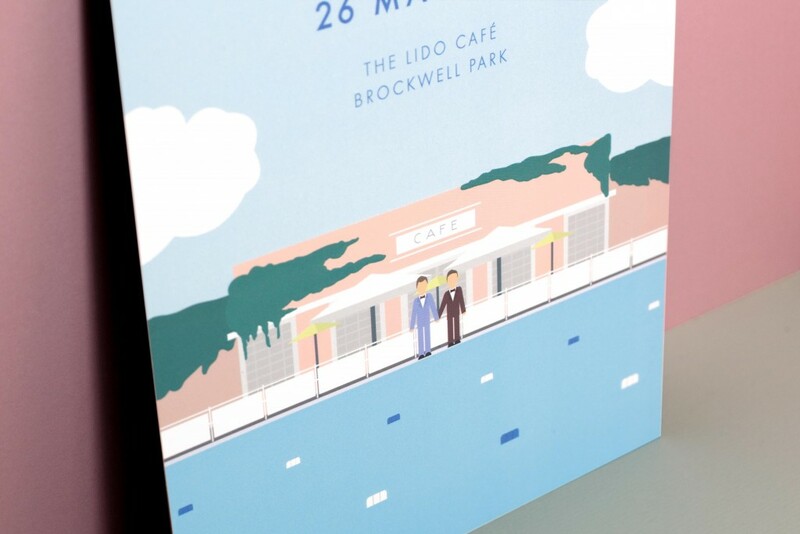 The licensed part of the venue, the lido cafe, is housed in an iconic art deco building on the edge of the swimming pool, built in the 1930’s. 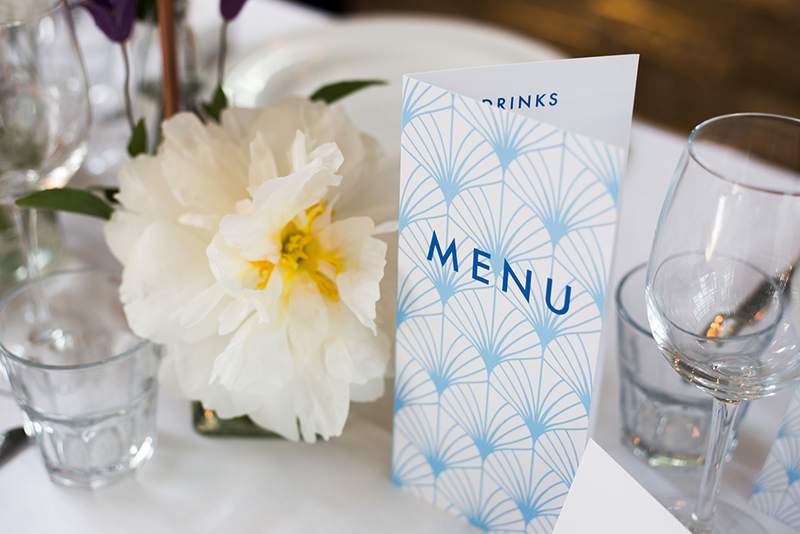 We drew upon this art deco style to create a bespoke look and feel based on vintage travel posters from the 1930’s. 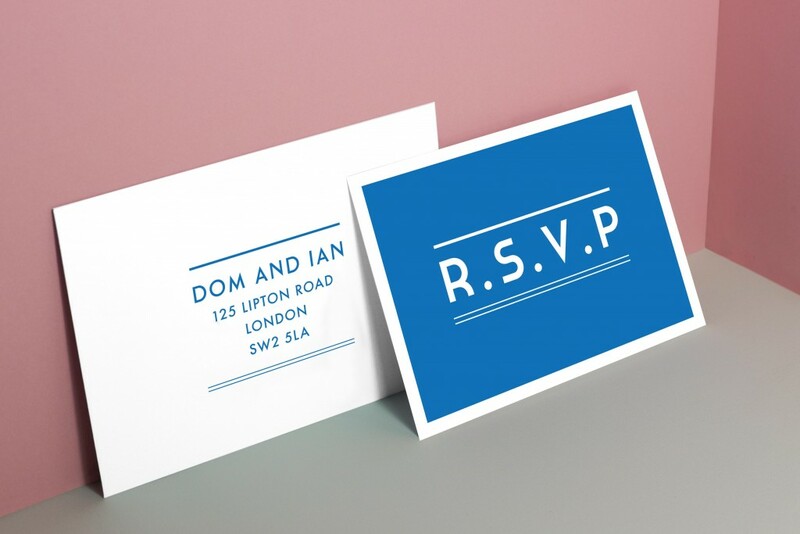 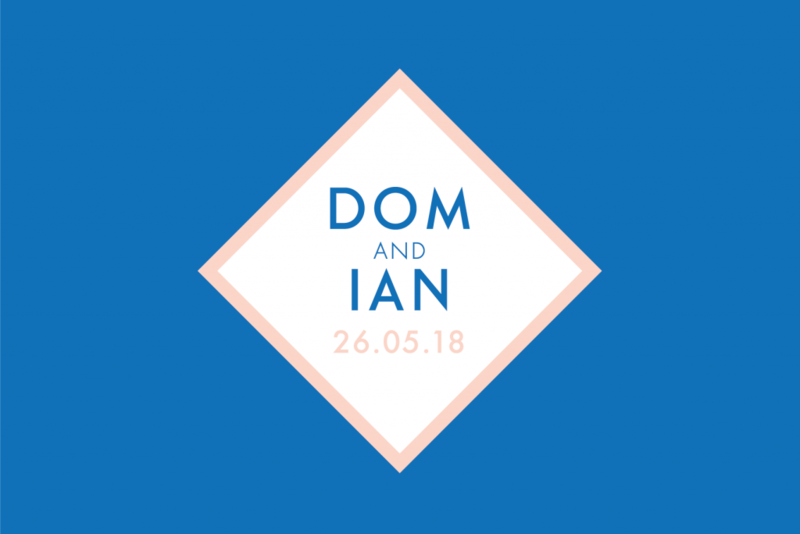 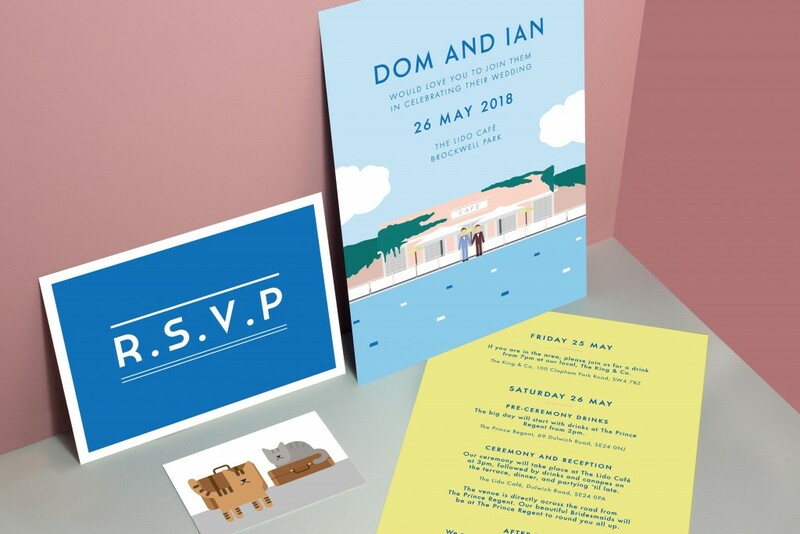 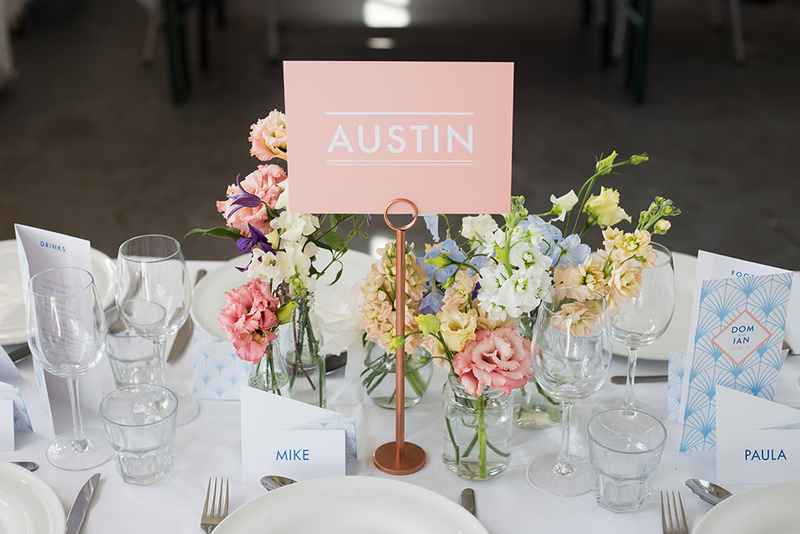 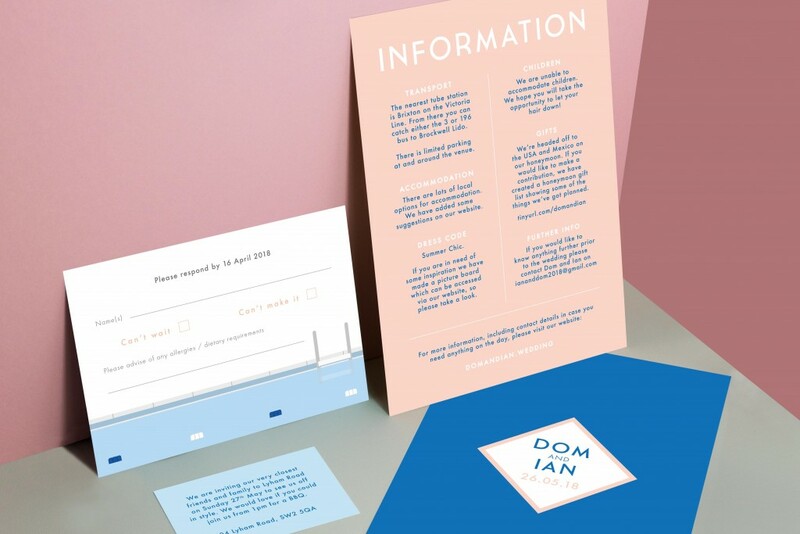 Using pastel tones and block shapes, Dom and Ian’s wedding stationery represented their fun, laid back personalities perfectly! 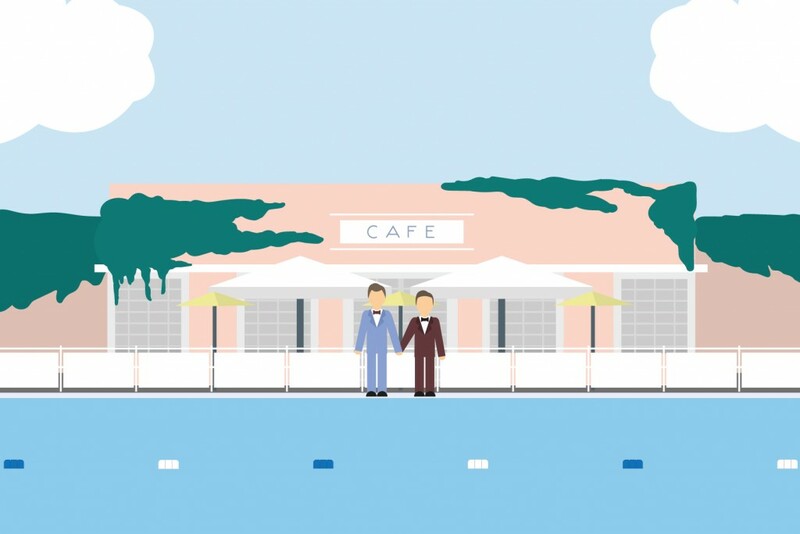 The main card of the invitation set featured an illustration of themselves stood by the cafe and pool. 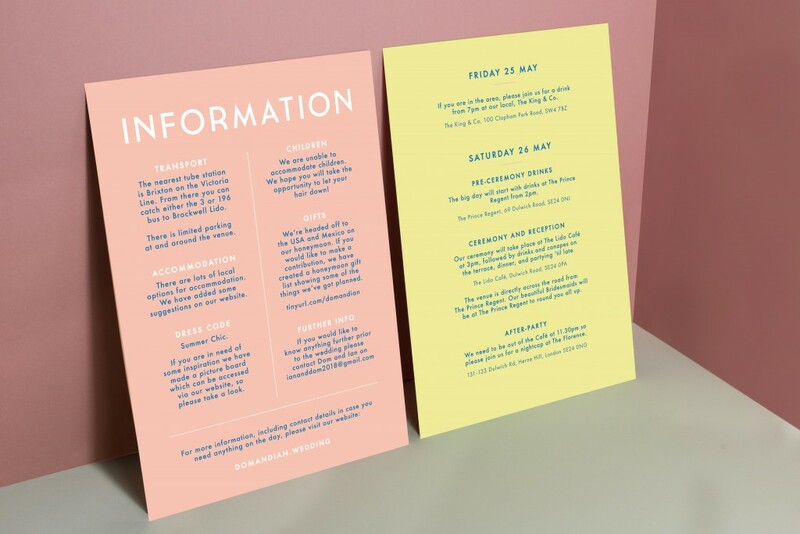 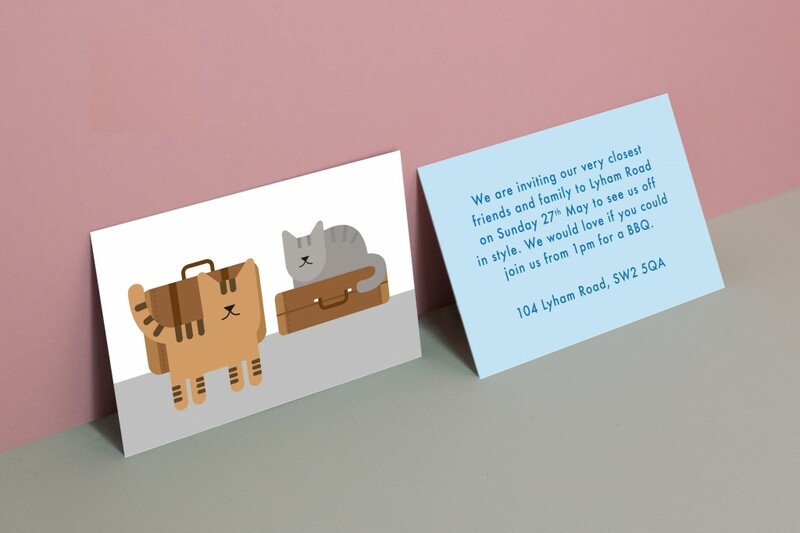 Their cats even made an appearance on one of the information cards, making it a truly unique stationery suite! 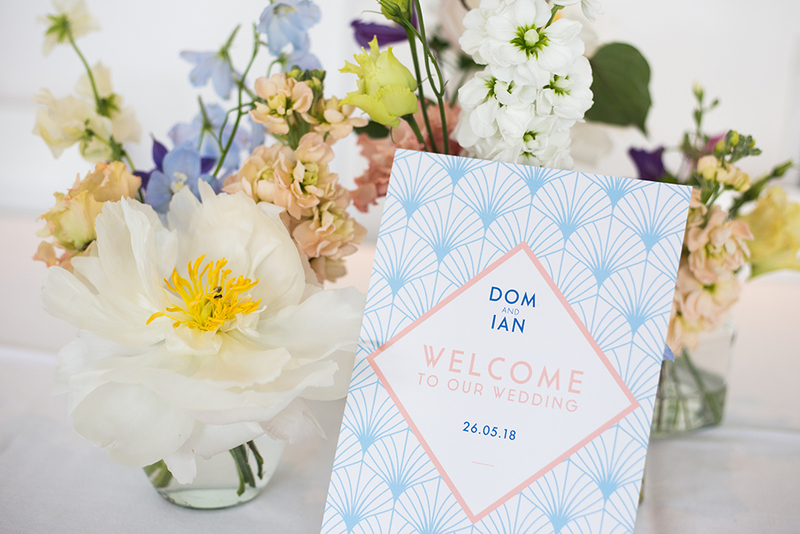 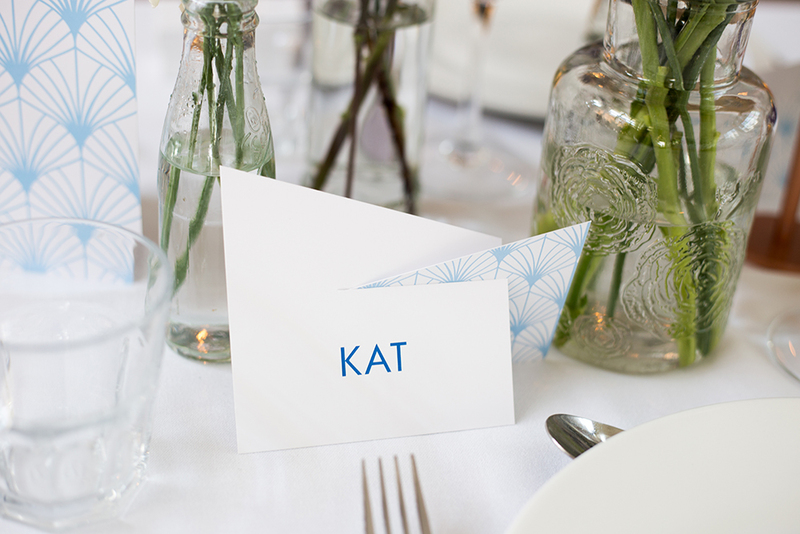 We also created the overall styling of Dom and Ian’s wedding day which brought everything together. 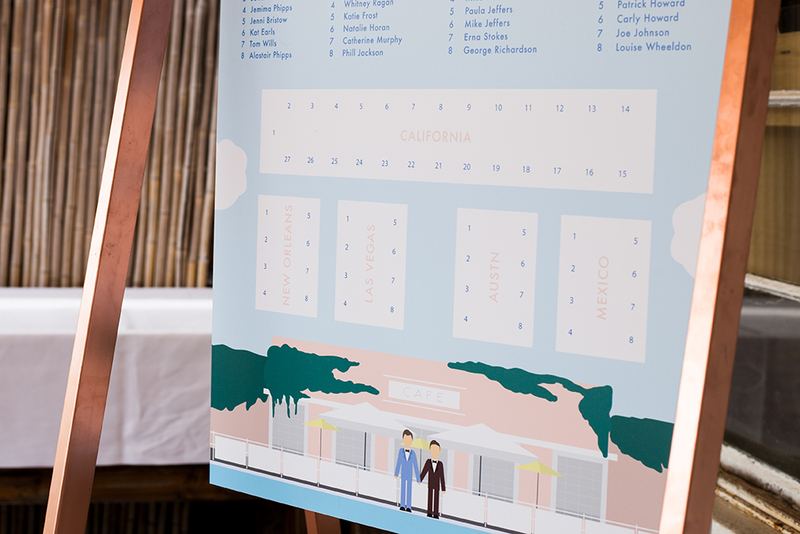 We were there to set up on the day and coordinate the turn around of the venue from a ceremony space into a dining space. 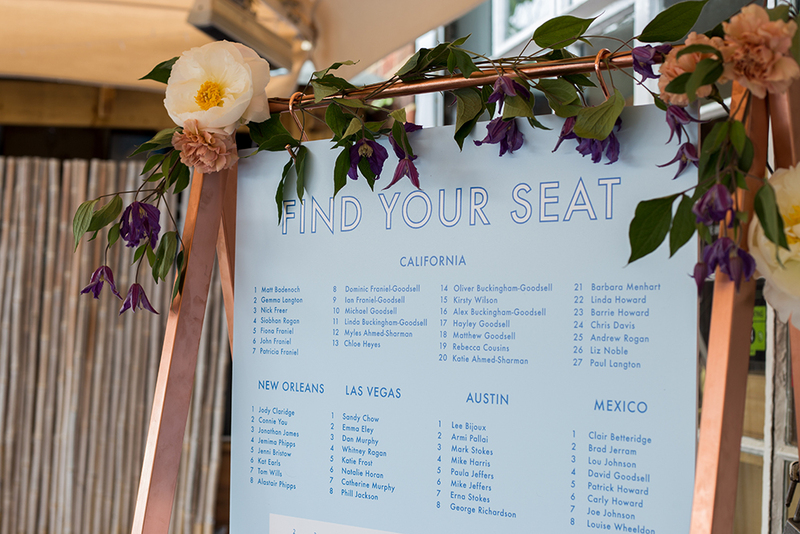 Click below to explore their wedding more!